When our baby takes their first steps months in advance, we post a humble Facebook brag. We shout from the rooftops when they say “Mama” for the first time and when they are finally (FINALLY) potty trained. We practically host a parade saying, “We DID it! We’re DOING it!” We are raising these babies, and we’re rocking it! Celebrating all of your baby’s milestones feels so validating and good for the soul. It’s these milestones that help us parents feel like we’re on the right track and doing our part in helping our littles check off these daily accomplishments that come along as they grow and change. With our first baby we are obsessed with hitting these milestones, and when they are delayed (or you are impatient) it puts a lot of unnecessary pressure on both you and baby. We’ve learned that most babes will do things in their own time (if you have genuine concern about delays, your pediatrician is a great place to start). It’s not going to do you any favors comparing your little Johnny to little Peggy Sue around the corner who can read at three. Different kids, different timing. 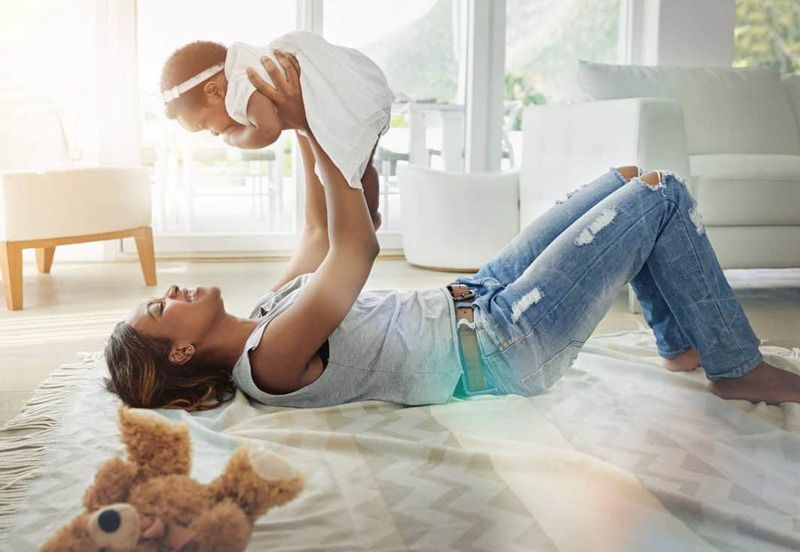 So instead of fretting too much about meeting baby’s milestones that will come when they come, we want to celebrate a few parenting milestones that you may have already accomplished on your own. Because moms have their own set of moments that truly encompass parenting, and that totally deserve a trophy of their own! You might as well be a secret agent or a ninja because nothing and I mean NOTHING is more challenging than laying that baby down and army crawling your way out of the nursery unnoticed, without waking your wee one. Reward: A chilled glass of rosé, you earned it! Reward: A solo trip to Target, don’t forget to grab a Starbucks! This is every parent’s biggest fear when taking their new baby in public: a massive and messy blow-out when you’re away from home, and have to think on your feet. We have ALL been there, and honestly nothing makes you feel more badass than when you can manage a blowout like it ain’t no thing! You’re prepared, you got this. Mic drop? More like diaper drop! Baby’s hungry, and you’re out and about. It’s your first time to breastfeed in public, and whether you’re using a cover or not, it can be intimidating. But baby’s got to eat, so you bust out the booby and everything goes smoothly. After the first time, your nerves subside and you find your stride. When second baby comes along, you’ll nurse any and everywhere without a care in the world. You go, mama! Reward: A fabulous new bra for the girls and an adorable comfy tee! Reward: Call a sitter, it’s a mom’s night out for you, sister! Thought of a mommy milestone I missed? I would love to hear all about your best mom-ents in the comments!